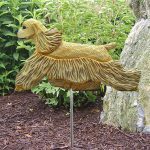 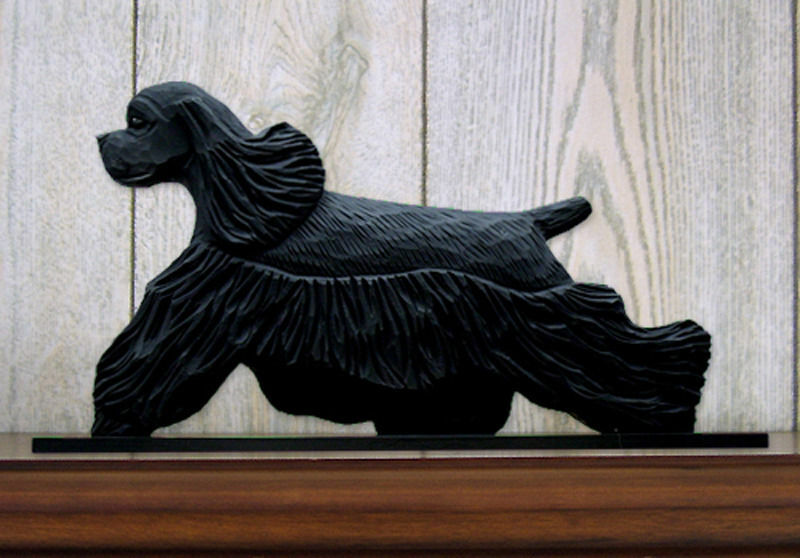 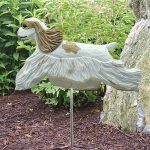 Our brown and black Cocker Spaniel figurine is a duo of brown and black colors. 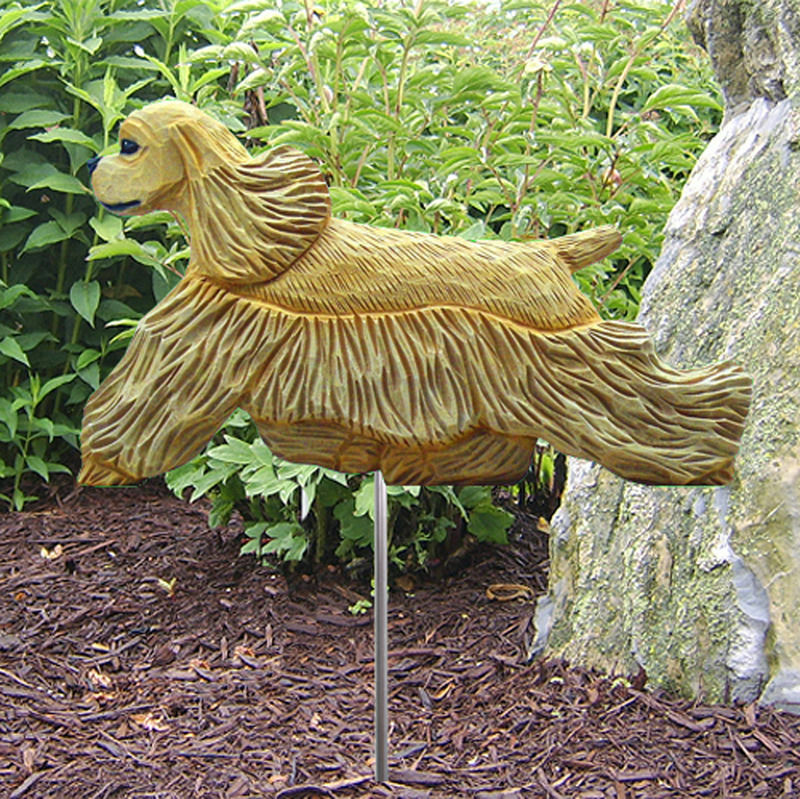 Brown is located on the end of the tail, paws, a streak on the chest, mouth, and eyebrows. 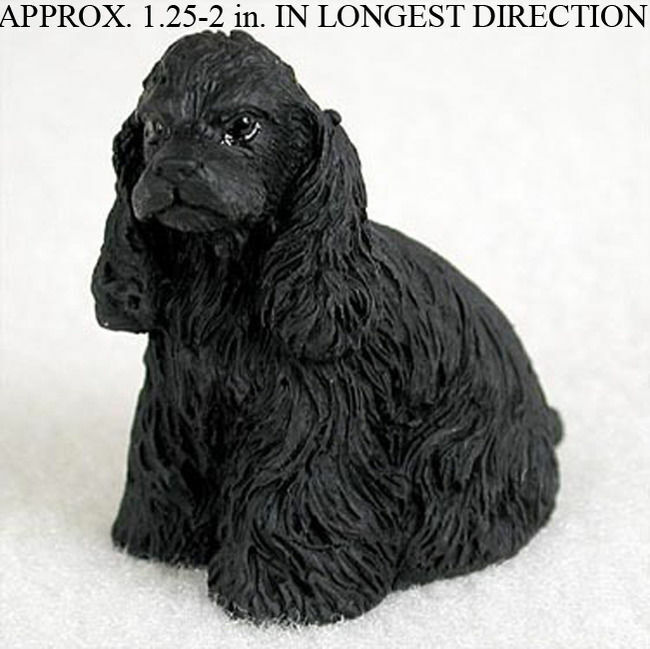 The remainder of the figurine including the eyes and nose are black. The figurine’s stance is standing with parallel legs and a low to the ground build. 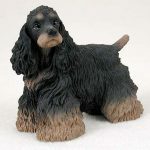 The head is turned to the breed’s left and has waves and curls on the ears, paws, and chest.